The calendar may say October but don’t let that force you into a color scheme of brown and orange. Equally rich but not nearly as expected is the pairing of pink and wine. Like a great cab served with a perfectly seasoned filet, spice up your fall with this interesting and autumnal candy-colored combo. 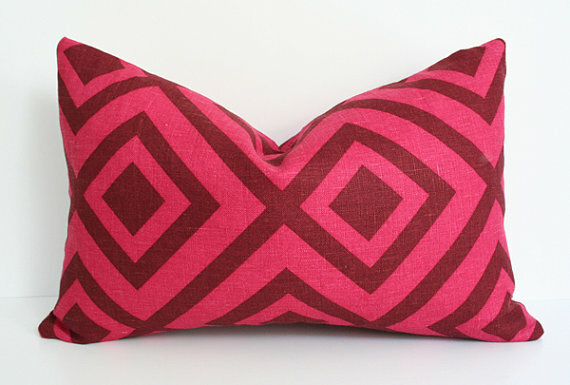 David Hicks for Lee Jofa’s La Fiorentina fabric is a great geometric pattern for pillows like this one from Arianna Belle on Etsy. 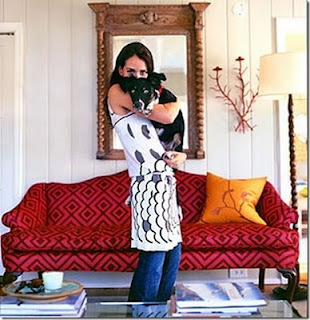 It makes a striking statement on a french sofa like this one from former Domino Magazine editor Ruthie Sommer’s house. 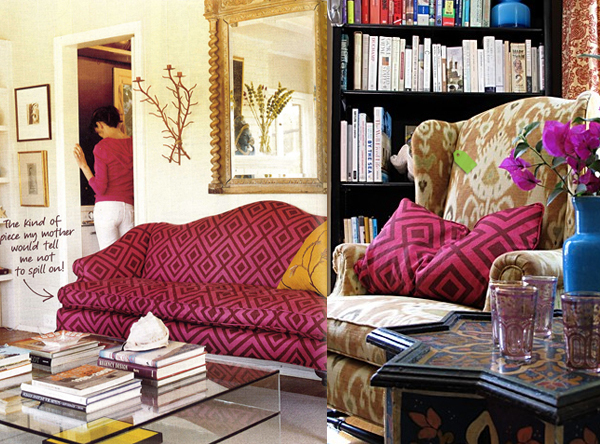 Photo courtesy of Domino The Book of Decorating. 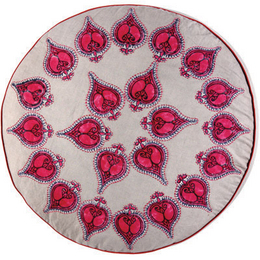 John Robshaw’s Abu round pillow is done in a bright pink print with embroidery on top. 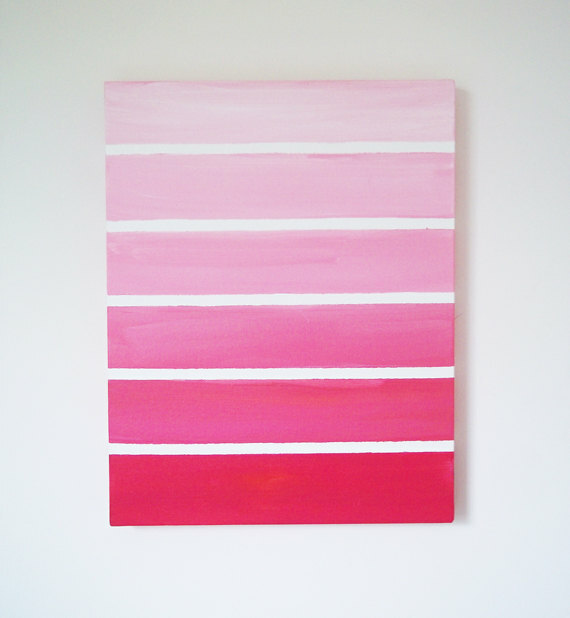 San Francisco-based artist Kendra Lock of Urban Creative creates modern and sweet ombre art in light honeysuckle to magenta. A magenta damask wallpaper from Garrendenny Lane adds a touch of elegance to a girl’s bedroom. Think pink (and wine) or go home.